Overwatch’s hero roster keeps changing—all in the name of perfection that’s ultimately unattainable. Or at least, it would be, if one fan hadn’t cracked the code. One word: Torbjorn. Wreckingbjorn, Torbisa, and Torbhardt, rebjorning for duty! So far, he’s added unquestionable improvements to the designs of Wrecking Ball (call him Hammond, damn it), Orisa, Reinhardt, Symmetra, Widowmaker, Sombra, Tracer, Mercy, Junkrat, Roadhog, and D.Va. 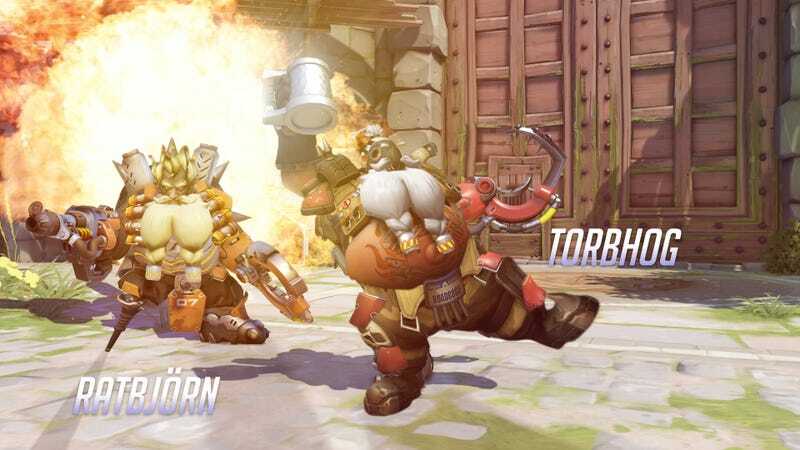 Drewhead118 told Kotaku in a DM that the hardest heroes to merge with Torbjorn are the ones he’s been putting off because their design styles aren’t what you’d call compatible: Winston, Genji, Orisa, and the like (or not-like, as it were). As for why Drewhead118 has poured hours of time over the course of two months into this bizarre yet undeniably noble pursuit, he’s not entirely sure. It’s just as Michelangelo would have said if he could only have seen these designs and also played Overwatch: the world could always use more turrets. And beards.